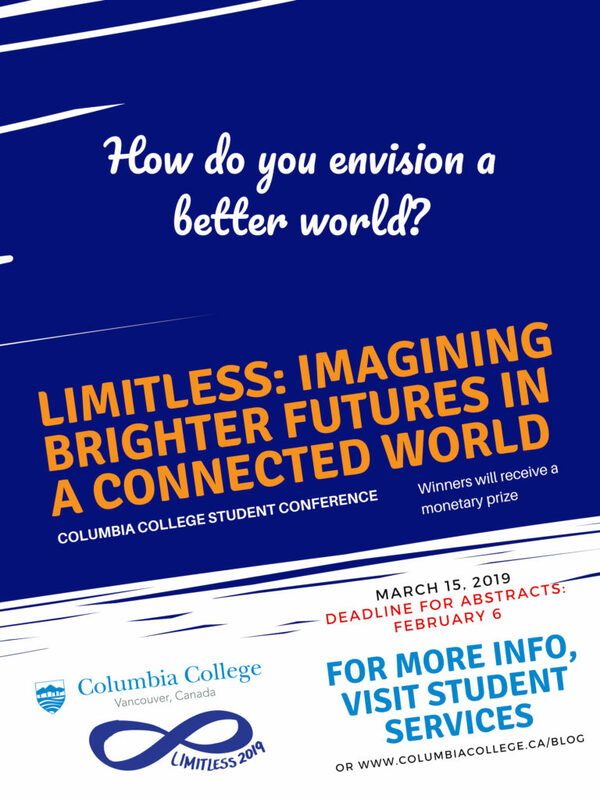 Participate in Limitless, Columbia College's Annual Student Conference! Participate in Limitless, Columbia College’s Annual Student Conference! Interested in attending Limitless? Register for the conference here. This semester, we have great volunteering opportunities available to all students at Limitless. There are 15 spots available. These volunteers will support us in directing and checking in attendees and presenters, and supervising the conference space. Students wishing to take part in this opportunity must be available on Friday March 15th from 9 am to 5 pm. Note: Columbia College is closed on Friday March 15th. We often get a lot of applications and will use the information below to select the best candidates. Take your time to make sure this is a good application so that you have a better chance of being selected. You should attend a mandatory training session on either Monday Mar. 4 or Tuesday Mar. 5. The deadline to apply is Monday, February 25th at 5 pm. 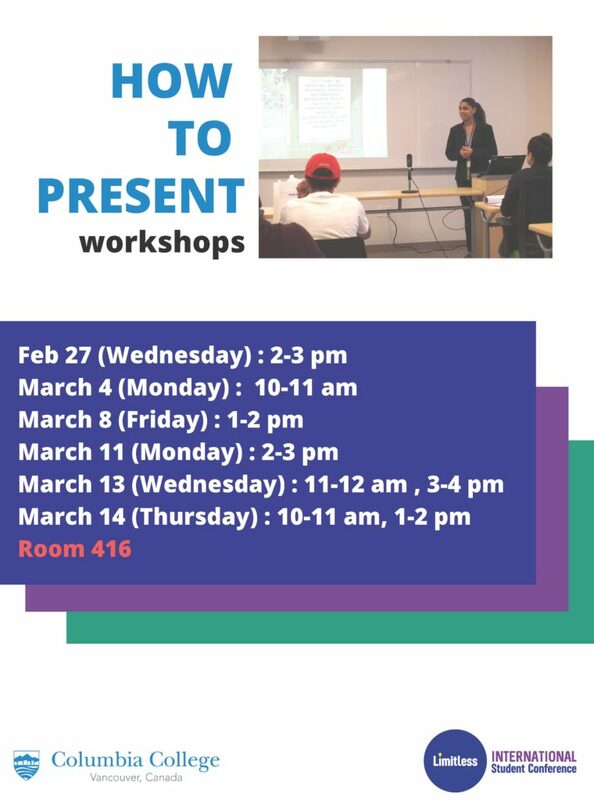 For more information including grading rubrics, student checklist, and links to resources, check out the Columbia College Library’s Libguide! After the huge success of Limitless 2018, we are inviting you to the 2nd year of Limitless, Columbia College’s annual student conference. The goal of the conference is to celebrate student excellence in academic scholarship, as well as to equip students with the practical tools and skills they need to succeed in today’s job market. This year’s theme is Imagining Brighter Futures in a Connected World. We invite you to submit papers on how our capacities to relate to one another and build connected communities are impacted by today’s social and political climate shaped by the forces of globalization and technological innovation. Paper has a clearly evident argument, or point to make (5 points). Content is accurate and appropriate for the topic and audience (5 points). Conclusion summarizes and provides the take-home message (5 points). Information is presented in a logical sequence (5 points). Good posture, eye contact, voice, and presence (5 points). Original work that expresses student vision, perspective, and/or values (5 points). Work reveals student’s relevant knowledge of subject (5 points). Reflection piece explains purpose of creative work, the process, and result (5 points).